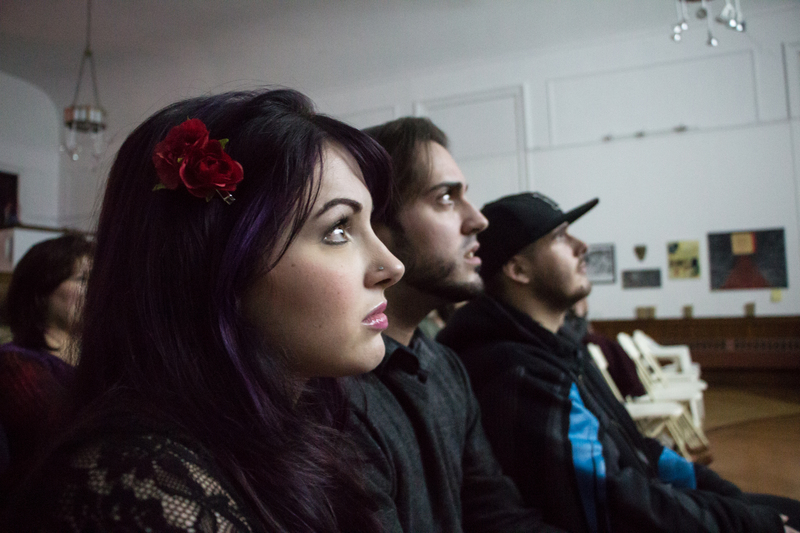 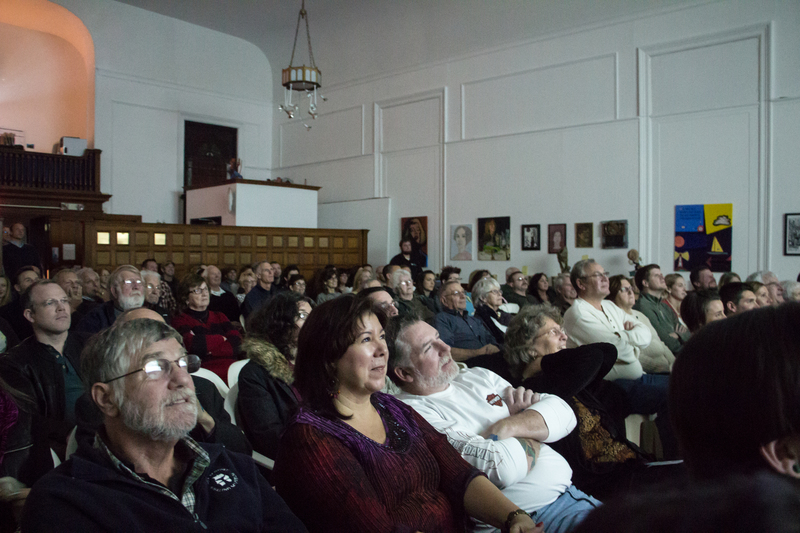 The audience at the sold out event which was held at Gallery X in New Bedford, Mass. 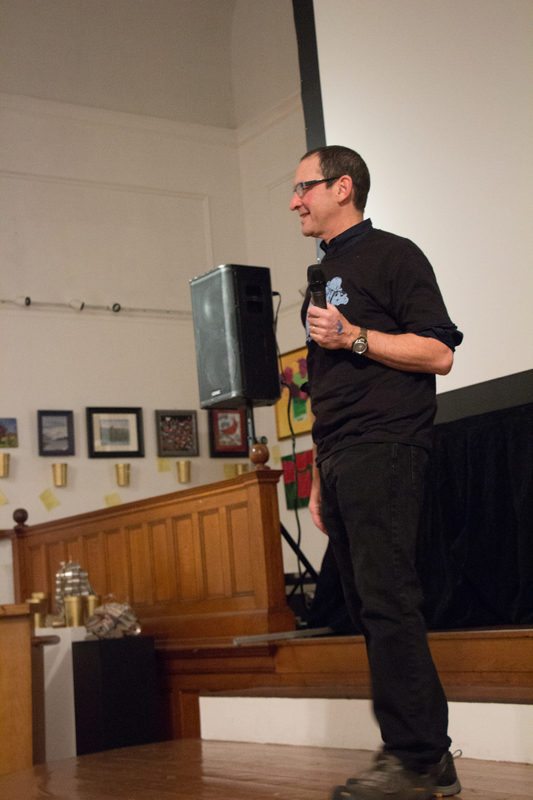 Buzzard’s Bay Film Festival Director Tom Gidwitz. 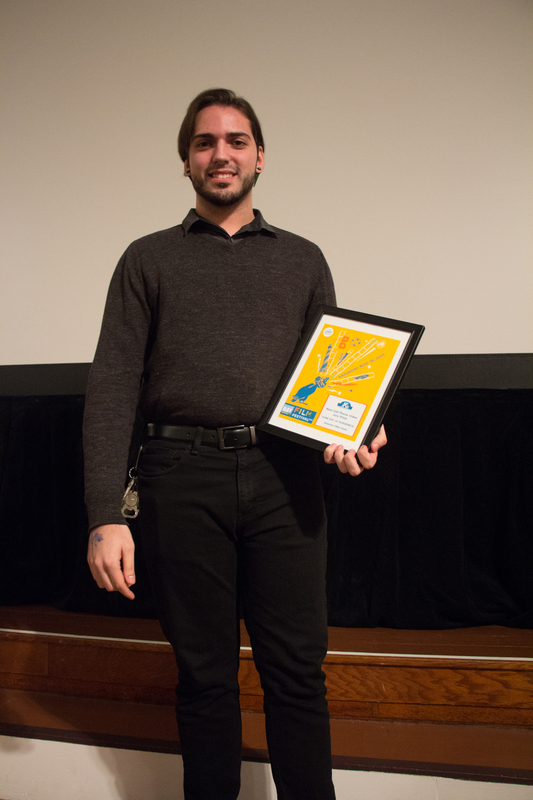 Roger Masson, Grand Prize Winner for his film “Cuttyhunk,” accepts his award. 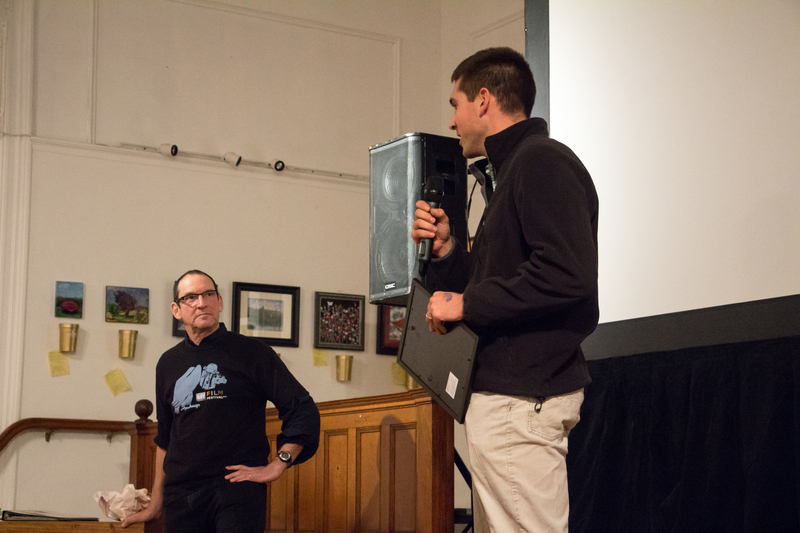 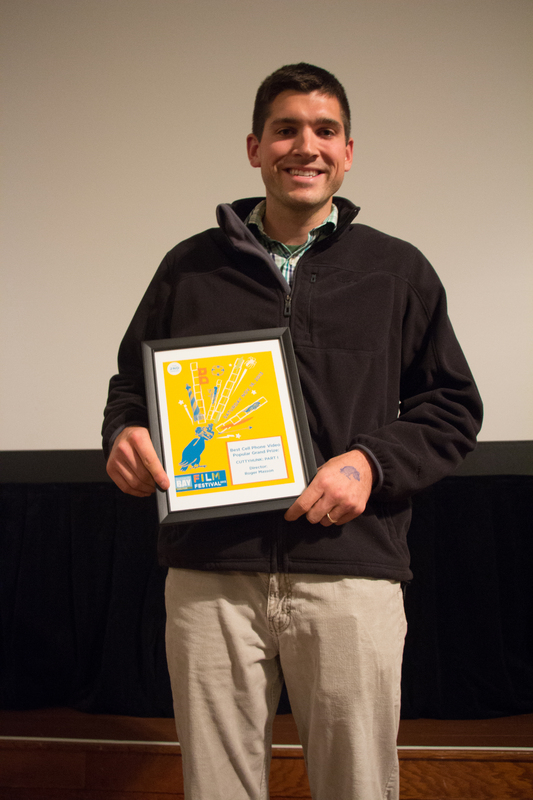 Mike Dunn was the Jury Prize winner for his film “Dune Day at Horseneck Beach.” This award came with a pair of tickets to every show booked by JKB Management & Booking in 2014. 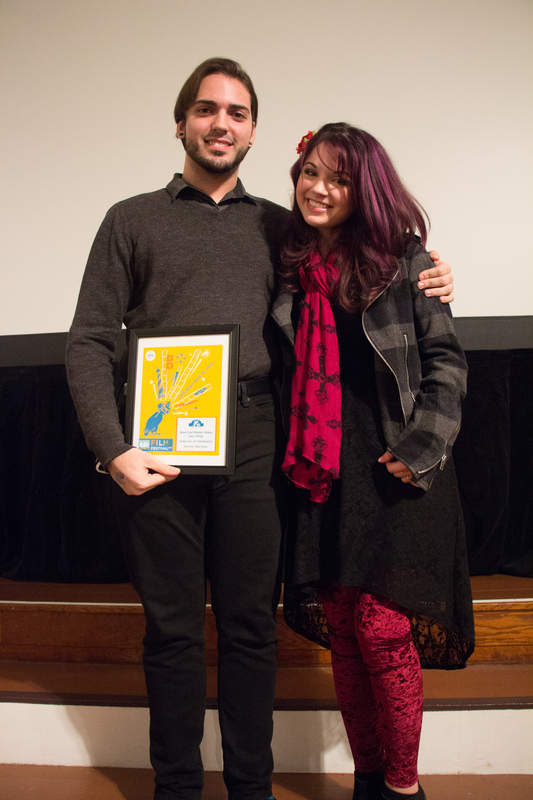 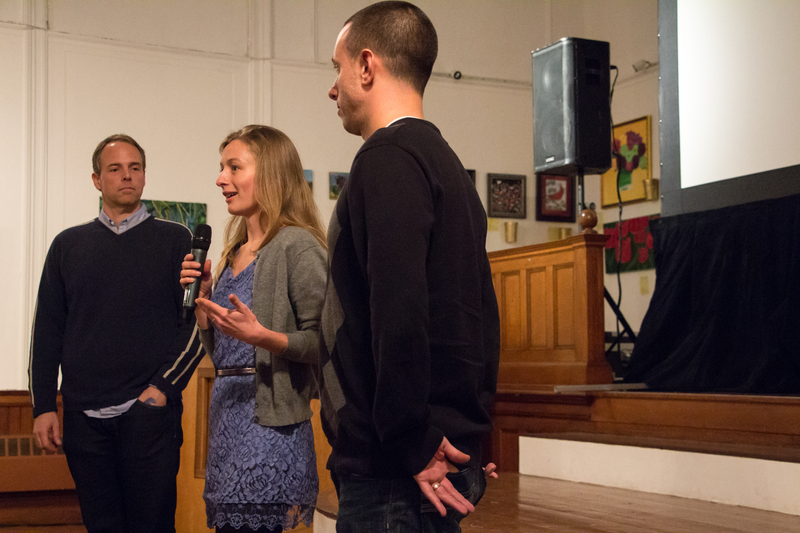 From left, Jury Prize winner Mike Dunn and Rachel Astore.